I have always been a big-purse kinda girl. Not sure why, as I’m never carrying all that much with me at a time, but I love me a big tote bag. But this season has been hectic, and being constantly on the go has made me want a summer purse that’s little more convenient in size… something that won’t weigh me down, but will still fit all my essentials and look cute doing it. 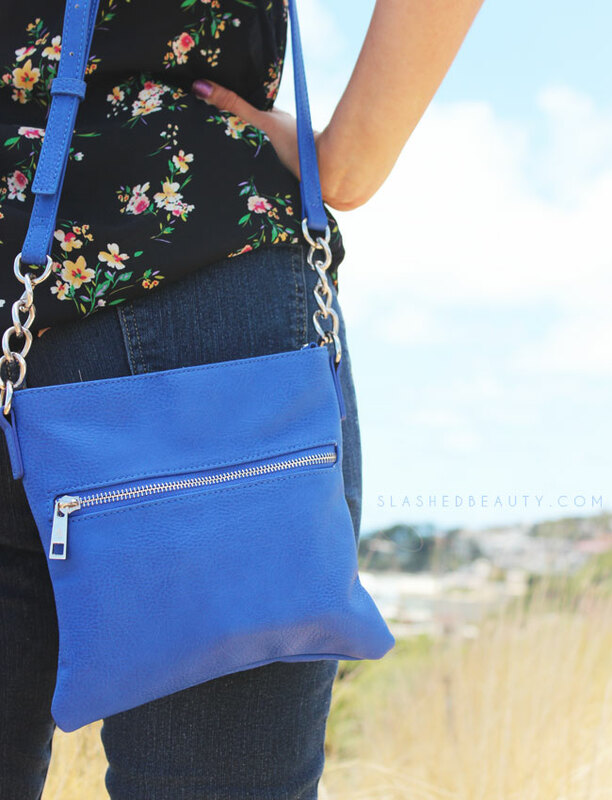 I’ve been wearing the Chic Buds Crossbody Power Purse ($69.99… but keep reading for a coupon code!) pretty exclusively the past few weeks. It’s just the right size: roomier than a clutch, but small enough to throw over your shoulder and carry all day without complaints. It has both exterior and interior zipper pockets and slip pockets to compartmentalize all your must-haves. I typically keep my chapstick and phone in the outer pocket, since I reach for them the most. Speaking of my phone, who else struggles with keeping your phone alive during busy days? I’m lucky if I’m still over 40% by the time I’m off work. So you can understand my sheer excitement when I discovered that this purse not only looks cute while serving its purpose of carrying my things, but also CHARGES. MY. PHONE. YAASSS. The Crossbody Power has a built in backup battery that you can plug your phone into for a full re-charge on the go. How freaking perfect is that. I’ve used portable battery chargers before, but it’s just that much more convenient when you can’t forget it at home, since it’s sewn in. You charge it up with the connected USB cable that can plug into a wall charger or your computer, and you’ve got power! While the battery is sewn in to the inner zipper pocket, the charging cable for your phone comes out through the exterior zipper pocket for easy access. You just need your normal charging cord and you’re good to go. This came in particularly handy when Adam and I had an impromptu beach day over the weekend. I drained my battery by using the GPS, but wanted to take pictures of the gorgeous view. I was able to charge my phone without missing a beat while walking down and along the shore. As much as people complain about how much technology has ruined our lives and yadda yadda yadda, you can’t deny how much genius it has added to them. Like a purse that charges your phone. I can’t get over it. I 100% could have used this while I was in London a few months ago. 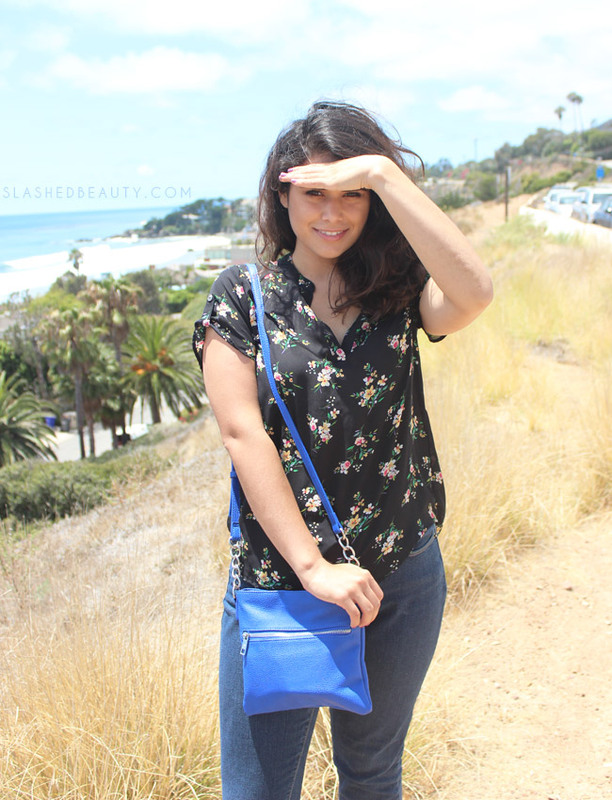 Check out the Crossbody Power and it’s sister, the Clutchette Power, over at Chic Buds. They come in a bunch of different colors to fit your personality. Oh, and it’s made out of vegan leather, so everyone can feel good about wearing it around. Also… I’ve got a coupon code for you, woohoo! Use code SLASHED15 for 15% off your order. 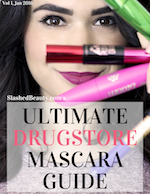 You didn’t think I’d talk about this kind of must-have splurge without hooking you up, did you? 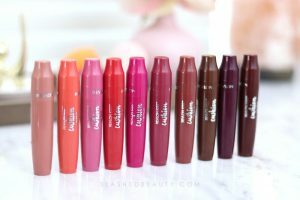 What’s another thing you wish was built into your purse? That is so amazing that it has a built in back-up battery! What a great idea! Wow, this is what I call style and function! Genius idea! Beautiful, and functional! 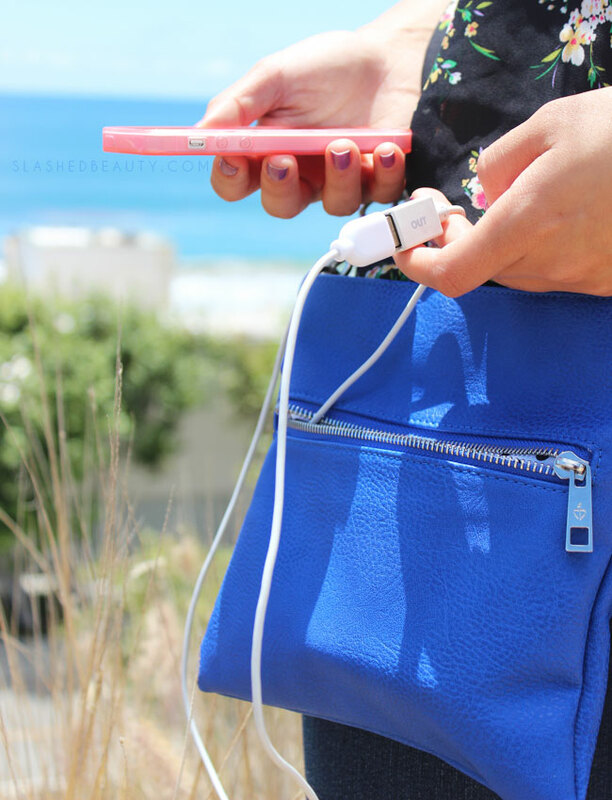 I’ve never had a purse that could charge my phone – and I’m always forgetting to charge it! Great idea. I love that this charges your phone at the same time as holding a good amount of items. Sounds perfect especially for busy days. Cute purse–love the color and charging the phone is a great bonus! I love that color! I have a purse device for charging my cell phone. Such a cute bag, love that color!